When most Northeast Ohio area homeowners think about their home lighting, they’re probably thinking about interior lighting. 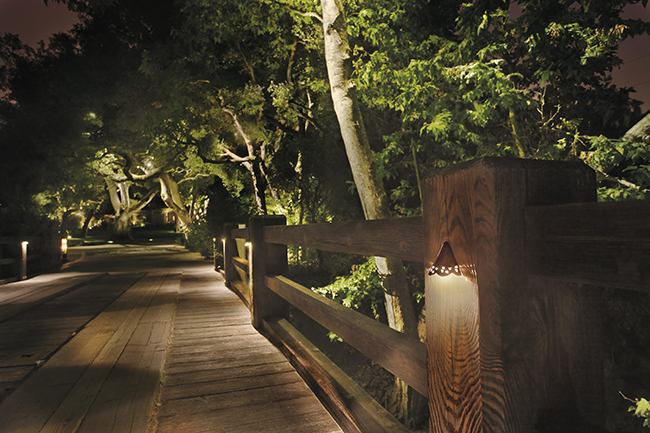 As important as a good interior lighting scheme is, your outdoor lighting should not be ignored. In fact, one could argue that your outdoor lighting is just as important as your indoor lighting. You’ll want anyone who walks onto your property at night time to be able to see where they are going. Lighting plays a big part in this, whether it’s installing path lights along your sidewalk, wrapping string lights along your deck’s railing, using wall sconces to flank your entry door or putting up lights above the garage, you sometimes need to be able to see in the dark. Besides making your property safer, good lighting makes it more secure as well. Potential thieves are much more likely to prowl around your property if they can’t be seen. Strategically setting up lights to help eliminate hiding places can greatly boost your home security. Of course, you won’t want to have light flooding every inch of your property, which is why lighting should be used strategically. You may even want to use motion detectors, which will allow certain lights to turn on only if someone walks in their path. When people think about curb appeal, they often only think about how their property looks during the day. But how it looks at night affects your curb appeal as well. A property covered in darkness is going to hurt your curb appeal, whereas a carefully thought out lighting design that uses different types of lights and highlights various features in your landscape can go a long way to improving your curb appeal. When it comes to lighting your outdoor area, you’ll want to plan ahead so that you can maximize the curb appeal, safety, and security of your property. Poor lighting can often make a mess of your yard, making it too dark in some areas and too bright in others. This, in turn, cannot only hinder the curb appeal of your property at night but actually disturb your household or even your neighbors. You need a professional to create a design that maximizes the lights in the area it’s needed and doesn’t shine in the places you don’t. This way, you’re not using more lights than you need, which can affect your energy costs significantly. 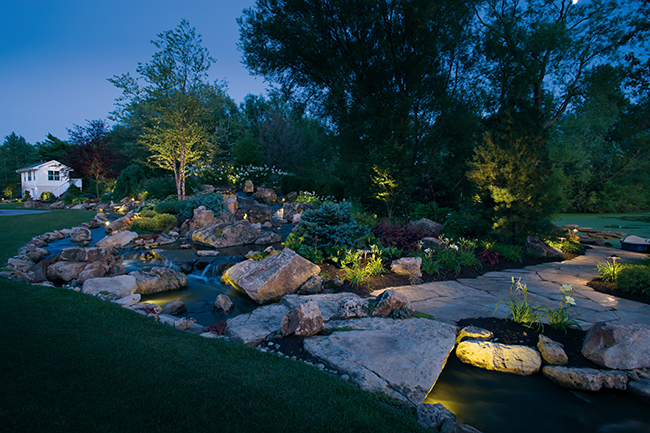 Here at Sprinkler Pro, we work very closely with our clients to design a lighting scheme that will best suit their landscape as well as their unique needs. We will do a thorough evaluation of your landscape to determine where lighting is needed in order to improve the safety and security of your property. For example, alongside any pathways leading up to your home or through your garden. We will also identify, with your help, the features that make your landscape unique and that you will want to highlight at night time, such as any majestic trees situated on your property. These can be highlighted through the use of uplights. Additionally, you may want to light certain spaces for social situations, such as a back patio or deck. We can help create a lighting scheme that will give the area some ambiance, ensuring that it will be neither too dark nor too light. We can also add to your existing lighting to your existing lighting scheme and provide maintenance and repair services for your fixtures if needed. When it comes to lighting fixtures, we use Kichler’s new Design Pro LED fixtures that feature Radiax Optics. These fixtures are unique in that they are extremely energy efficient, which will help keep your energy costs low, and in that they provide three color options from the same fixture, allowing for a lighting scheme that’s flexible depending on the mood you’re trying to set. Besides having a wide assortment of energy efficient light fixtures at our disposal, you’ll be able to easily control your outdoor lighting as well. A mobile app allows you to dim lights to create ambiance, program different zones of lights to automatically turn on or off at specific times and to turn lights on and off at any time. To find out more about our outdoor lighting services or to schedule an appointment in the Aurora, Ohio area, be sure to contact us at Sprinkler Pro today.